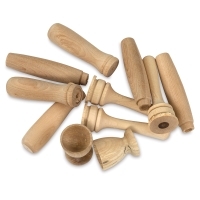 Creativity Street Wood Turning assortments feature many sizes and shapes — perfect for group projects. The natural wood has a smooth surface that's easy to decorate. 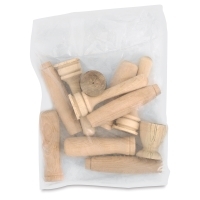 Sizes range from approximately 1–4" high.